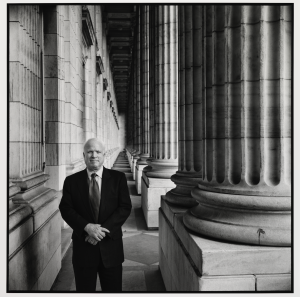 In recognition of the life and legacy of late Senator and former presidential nominee McCain, the National Portrait Gallery installed a photograph of John S. McCain III by the British-born photographer Steve Pyke on Monday. The portrait, located on the museum’s In Memoriam wall on the first floor, was taken in 2005 by Pyke, who at the time was a staff photographer for The New Yorker. Smithsonian Institution. © 2005, Steve Pyke.